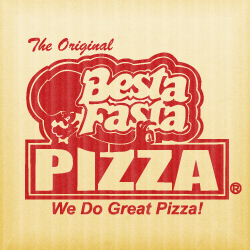 Thank you for visiting Besta Fasta Pizza! To view our delicious menu items, please select a category to the left. To place an order, please call your closest Besta Fasta location. Don’t forget to check out today’s specials in the lower right!